You don’t always anticipate it happening but sometimes when you are least prepared, your car just won’t start, especially after it dries out on you in the middle of the road. Sounds like a pretty bad situation. If this ever happens to you in the Houston area, you can count on JandK Towing to come to the rescue and give you a battery jump start. 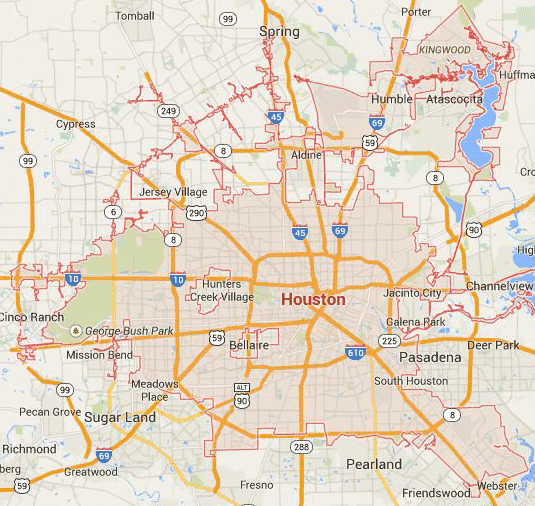 Our company and our network of licensed affiliates provide roadside assistance in Houston, Texas. 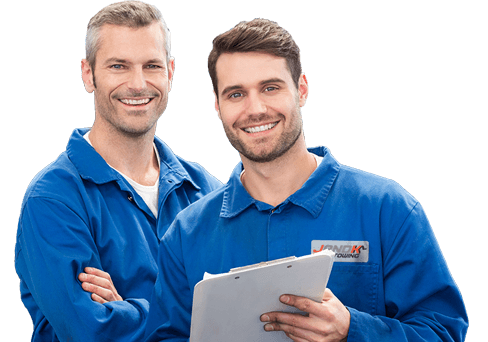 You can rely on our expert technicians to give you a battery jump start Houston at any time of the day or night. We are open 24 hours a day and 7 days a week. Just give us a call and we will be at your location to get your vehicle fully functioning again in no time. Nothing is more frustrating than a car that won’t start. Most of the time, a simple solution to this type of roadside emergency is a quick jump start. It happens due to a number of reasons. It might be that you have a weak or a dead battery. If you can hear the starter struggling to fire up but wouldn’t work, your vehicle most likely has a weak battery. In this case, a jump start is usually all you need. You would have to drive for at the really speedy time to allow the battery to charge then inspect it again later to see if the terminals need cleaning. You might also have a dead starter. If your starter malfunctions, you would often hear a harsh grinding noise but the vehicle wouldn’t start. Your ignition switch might be completely dead. It could also be a frozen fuel line. This is caused by condensation and it leads to a number of problems. Another reason you might need a to jumpstart your battery is having dirty spark plugs. These parts ignite the fuel in your vehicle’s combustion chamber. If they are dirty or need replacing, a jump start can temporarily solve the problem. You would have to eventually clean or replace them. Finally, your vehicle may have a failing alternator. Even if your battery is healthy, your alternator could prevent it from charging. In most cars, you will see a warning light in your dashboard to indicate this problem. If you find yourself in these situations, you can rely on JandK Towing for 24/7 battery jumpstart Houston TX. 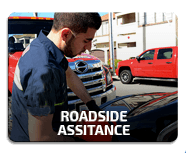 Whether you are a resident or just passing through Houston, keep in mind that our team of professional technicians are here to give you roadside assistance. Aside from a weak or a dead battery, you might encounter other problems with your vehicle as you are driving in Houston. 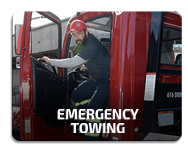 JandK Towing provides all types of roadside assistance and we are available 24/7. 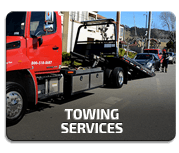 Whatever type of roadside assistance you need anywhere in the Houston area, calling J and K Towing Houston is your best option. 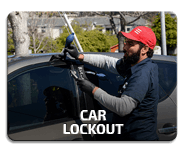 Whether you have been locked out of your car, ran out of gas midway, got a flat tire, an accident, or any other roadside scenario, our technicians will be there to help. Our team of professional technicians has gone through extensive training and they have the skills and experience required to handle all types of roadside issues. If you need a battery jump start in Houston TX, give us a call and our team will be there to help in no time. A friendly staff will be on the other line to listen to your concern and provide you with your best options so you can make an informed decision. We offer the most reasonable rates in the area and we always give you your money’s worth. Having a dead battery or a car that won’t start is frustrating enough and we want to make the entire process easier by providing you with the most efficient service at prices that you can afford. We value your time and money so we make sure that we get the job done right the first time. Our goal is to get you back on the road as soon as possible or get you back home safely in case of an accident. Remember that we are open 24/7 and our technicians are always ready to help whether it’s the middle of a busy day or the dead of the night. So, the next time you are driving in the Houston area and need roadside assistance, just give us a call and we will get you back on track in no time.